Check Rates & Availability at Quality Inn Bessemer! 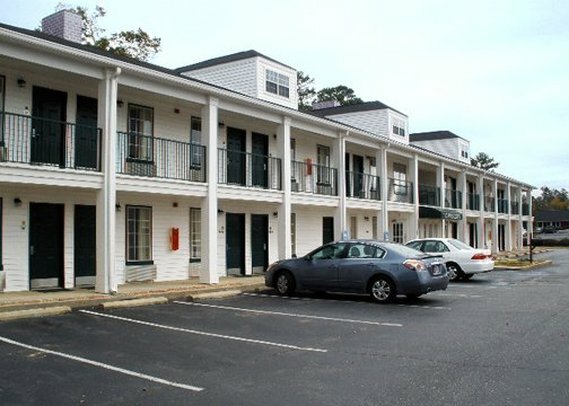 Get more value for your hard-earned money at the pet-friendly Quality Inn hotel in Bessemer, AL, which lets you relax and focus on the people and experiences that you came for. We are near University of AL-Birmingham, AL Splash Adventure and Bessemer Hall of History. Amenities include free WiFi, free ample parking, free hot breakfast, free coffee, business and fitness centers and a seasonal outdoor pool. Guest rooms feature a refrigerator, microwave, coffee maker, hair dryer, premium bedding, iron and ironing board. Also, earn rewards including free nights and gift cards with our Choice Privileges Rewards program. Limit of 2 25-lb. pets/room, USD20/pet.